Comfort Innovations’ new, patent pending, life-saving Cold Blankets are set to make death from heat stroke in hot work environments a problem of the past. Keeping multiple sets of Cold Blankets frozen on site in the new, Max Burton, low amp draw, 12 volt, freezer the company also offers, allows Cold Blankets to be immediately refrozen within an hour of use. Keeping multiple sets of Cold Blankets on site allows a company to never be without immediately available cold therapy. Constructed with an inner lining and an outer shell, the Ergodyne Chill-Its 6685 Dry Evaporative Cooling Vest stays completely dry and durable, but—unlike other cooling vests—remains lightweight even in the activation phase. Combining a patented technology that cools the body’s core zones, the dry vest boasts mesh material on the sides for increased ventilation and comfort. Workers will enjoy immediate and long-lasting cooling relief with a max cooling capacity of 59 degrees Fahrenheit. 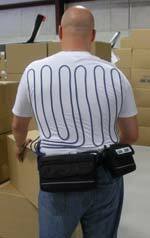 The 100-percent portable Cool Shirt Comfort Cooler Waist Pack from Shafer Enterprises LLC is designed to reduce heat stress in hot environments or when wearing protective clothing. The OSHA-compliant product is ideal for power plant workers, factory workers, paper and steel mill workers, construction workers, welders, and more. 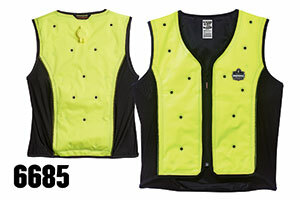 The WCCL2OFR from MCR Safety Inc. is a cool-mesh vest that is designed to offer more contrasting colors than any other Class 2 safety vest. Its orange polyester background material is treated for limited flammability. Other features include 4.5-inch yellow/silver 3M reflective stripes, two inside pockets, and more. Steele Inc. announces the addition of four new cooling products to its SteeleVest Body Core Cooling System: an ice belt, wrist wraps, a headband, and a hat cooler. To use, wearers must simply freeze non-toxic, non-flammable Thermo-strips to enjoy up to four hours of cooling. The new easy on, easy off Ice Belt™--Steele Inc.'s latest product from its SteeleVest line--has a reusable thermo strip that is inserted into an insulated belt and is designed to provide more than two hours of cooling any time, anywhere. 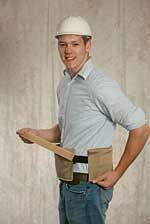 The device is also ideal for use under body armor and in situations where a cooling vest isn't practical.